A unique and powerful story about a fifteen year old boy who tries to deal with his mother’s mental illness by writing letters to Leonardo da Vinci. I found Letters To Leonardo to be a really wonderful novel, which ended brilliantly and had a huge emotional impact. Matt's letters to Leonardo throughout the novel really tied it together, and revealed a lot more about his character than he told the reader. Early in the story, I felt as if at certain points the story lagged slightly, and in parts Matt's thought processes - especially related to his mother's mental illness - seemed a tad immature but as the novel progressed he became a lot easier to relate to and sympathise with, and his stubborness was understandable. I really loved the supporting characters in this novel, like Matt's best friend and even the police officer. The art theme throughout Letters To Leonardo was really well done - something which connected Matt to his mother - and the premise of the novel - a letter from a mother he thought was dead - is brilliant. I think the issue of mental illness was dealt with sensitively and realistically. 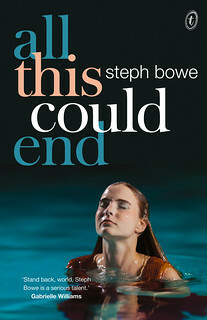 Overall, a great, emotionally powerful novel, which I'd certainly recommend for younger teenagers looking for a gripping read. I read it in one afternoon, and was unable to put it down. Steph: LETTERS TO LEONARDO took you ten years to write and over thirty drafts. I think that's amazing, and shows how dedicated you must be to this story! Can you tell me a bit about those years writing this novel - what was the writing process like? Dee: From the minute the pieces of this story fell into place in my head, I knew it was one that I had to write. The first seed of the idea came when a friend told me about a man she worked with who had received a letter on his twenty-first birthday from the mother he thought was dead. It was a true story. I thought, what an amazing thing to happen. It raised so many questions for me. Where had his mother been? Why had she been absent from his life? Where was she now? When I was running through these questions in my own mind, it occurred to me that there had to be a really good reason for this man’s mother to have abandoned him. I started to speculate what it might have been. As a writer, I always ask myself questions like why? What if? How? One of my closest childhood friends had a mother with bipolar so I drew on that experience to explain Matt’s mother’s illness. Many of the things that happen in the book are based on things that actually happened. I tried to imagine how Matt would feel; finding out that everyone had kept secrets from him for most of his life. That’s when I decided that he needed someone to vent to – and it couldn’t be a living adult because there was nobody he could trust – who hadn’t lied to him. I’d been fascinated with Leonardo da Vinci (some might call it obsessed) for years. Seeing as Matt was already emerging in my mind as an artistic, deep thinker, Leonardo seemed the obvious choice of a mentor figure. I was awarded a mentorship in 2002 to work on my novel with a well- published author. Mentorships are a great experience for a new writer, but it’s important to find a partnership that suits you both – and that your mentor understands and loves your story too. My mentor didn’t like that Letters to Leonardo was in first person, she thought that art was clichéd and she felt that young adults wouldn’t know who Leonardo da Vinci was. I think this was really the only time throughout the whole journey that I experienced self-doubt about my story. I was a very inexperienced writer and thought, “She knows what she’s talking about”, so I changed my story to meet all her recommendations. Instead of Letters to Leonardo, it became Space, a book about a boy who loved astronomy and wrote letters to astronaut, Buzz Aldrin. A publisher I submitted Space to thought it was well written, with well developed characters etc, but that it was missing something. That’s when I realized it was not my story anymore. The publisher suggested I go back and write the story I wanted to tell, and that’s exactly what I did….and that’s the one that got published. I learnt a lot in the mentoring process about cause and effect, action and reaction, character development etc, but probably my most valuable lesson was, if you have a story you love, stick with it. So yes, the story changed a lot in the process, but the essence of it stayed the same. I don’t think I felt like it was truly finished until I held a published copy of Letters to Leonardo in my hand. After wanting to be an author since I was seven years old, I couldn’t believe that it had really happened – that people were going to buy and read a book I had written. Steph: Can you tell me a bit about your road to publication? After having finished your novel, did you contact publishers directly? How long did it take you to find a publishing house? What was the editorial process like for you? Dee: Apart from the publisher who suggested I go back to writing my original story, I hadn’t submitted it anywhere else – mainly because I was constantly working on the rewrites – because I wanted to get it right. In 2006 I came third in the YA section of the CYA competition with Letters to Leonardo and the judges said really nice things about it. That’s when I started to believe that it might be almost publishable. I spent the next two years doing rewrites, and then I had it assessed by Margaret Hamilton at the SCBWI conference in Sydney in 2008. Margaret was very positive about the manuscript and this gave me the confidence to talk to publishers about it at the conference. A few months later it was accepted for publication. You can imagine how excited I was. Working with Walker Books on Letters to Leonardo has been an amazing experience. My editor, Sue Whiting was fantastic – positive, wise, tactful and encouraging. She helped me bring my writing to a whole new level. And one of the most exciting parts was that everyone at Walker loved my book. Early drafts of the book were entirely letters – and this became a bit restrictive the more I developed the story. In the editorial process, I learned how to blend the letters with the narrative. 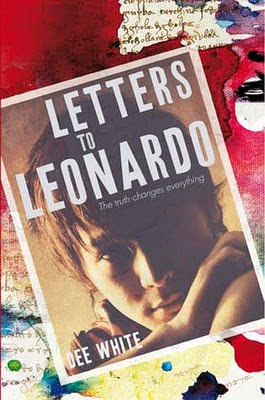 Steph: LETTERS TO LEONARDO deals with some very heavy themes, including mental illness. What drove you to write about this, and was there anything in particular that inspired Matt's story? Dee: As I mentioned earlier, the two main pieces of inspiration were a true story I heard about a man who received a twenty-first birthday card from his ‘dead’ mother, and the real life experiences of a friend growing up with a mother who suffered from bipolar. I was also really affected by a comment made by comedian Sir Spike Milligan about his own bipolar. He described the ‘lows’ as “1000 grim winters growing in my head”. 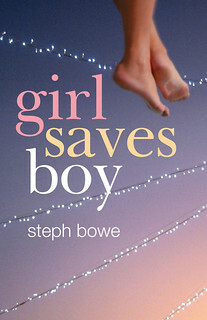 Steph: What advice would you give to aspiring YA authors? 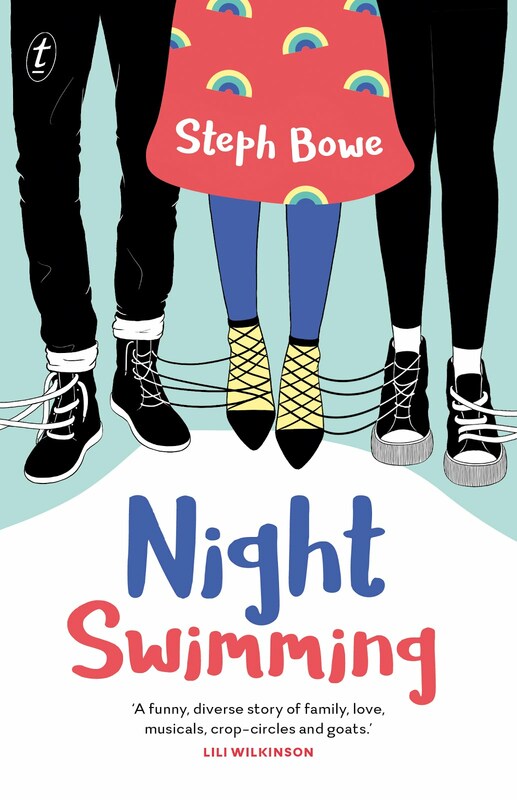 Dee: Read a lot of YA – there’s a lot of great books by YA authors (particularly Australian ones) out there (and many of them aren’t about vampires). I also think that when you’re writing for Young Adults, you can’t sugar coat things – you have to keep it real. Young Adults want to know the truth – they want to know what’s really going on in the world. The other piece of advice isn’t really mine – it comes from one of my writing teachers, Sherryl Clark. 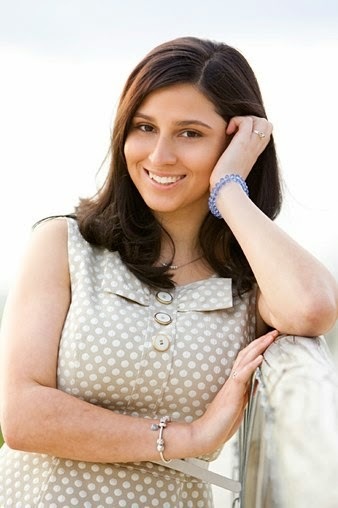 She always told us that in YA fiction – you have to keep ‘raising the stakes’ – make things harder and harder for your main character – keep increasing the tension. Steph: The letters Matt writes to Leonardo Da Vinci are a really interesting element of the story... but why Da Vinci? Did you consciously choose for Matt to write to him, or did the story just turn out that way? Dee: I consciously chose Da Vinci because of the art connection – and my own fascination with him – which actually grew as Matt’s obsession with Leonardo da Vinci grew. And the more I researched Da Vinci’s life and works, the more I was able to draw parallels between him and Matt. They were both taken from their mothers when they were young, and raised by their fathers. They were also smart people, but had a certain naivety and trust in people that got them into trouble. Steph: What are your hopes for the future, writing-wise? Are you working on a new book? Dee: I write a lot. In fact I have around 80 manuscripts in my ‘bottom drawer’. Most of these are what I call my practice books – part of the learning process – things I have written that have taught me how to iron out glitches with plot, character, dialogue etc – helped me develop my skills as a writer and editor. I’m hoping that one or two of my ‘practice books’ might eventually be published. I am currently working on Street Racer, a young adult novel for Walker Books. I really love this book too, and can’t wait to see it in stores. It has also involved a lot of research and during the process I have again become totally attached to my main characters as if they were my own children. 2010 is going to be another exciting year for me working on a young adult psychological thriller series during a month long May Gibbs Creative Time Residency that I was recently awarded. Writing a series is going to be a fantastic new challenge – and already the characters keep popping into my head to give me snippets of their stories.